Brace yourself, baseball fans. Opening day is almost here. We got a small taste of meaningful baseball last week when the Seattle Mariners swept a two-game series against the Oakland Athletics in Japan. Now, though, we're primed and ready for the season's first full slate on March 28. That's right, all 30 teams will be in action on this year's traditional opening day. And as always, one of the more interesting aspects leading into the big day is which pitchers will get the honor of throwing their team's first pitch. In what’s become a tradition here at Yahoo Sports, when we see that list of opening day starters start to form, we rank them. We just can’t help ourselves. From the elite aces, to the up-and-coming studs, to the veterans trying to prove they still belong, they all have a story and a spot on our list. Our rankings are subjective and always open for debate. We try to weigh past performance with upside, with the most recent past typically carrying the most weight. So, without further ado, here are the 30 starters for opening day 2019 ranked. Only a historic season from Jacob deGrom prevented Scherzer from winning his fourth Cy Young award in 2018. 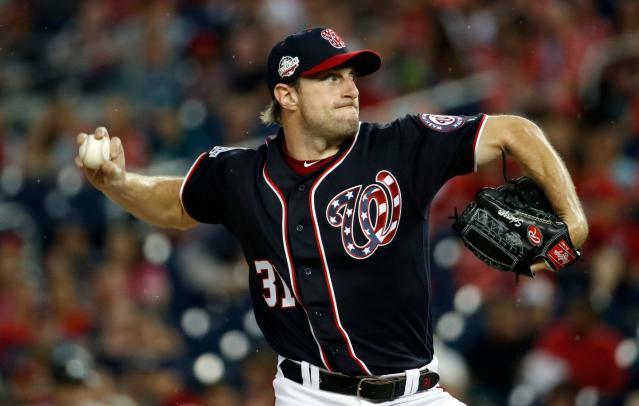 Scherzer was as dominant as ever, recording 300 strikeouts for the first time in his career. That's more than enough reason to give him the top spot for the second straight season. Sale threw the pitch that sealed Boston's World Series victory in 2018. Now he'll throw the first official pitch of their title defense. This will mark Sale's fifth opening day start overall and his second for the Red Sox. This will be Verlander's 11th opening day start (second with Houston). That puts him in elite company as only nine pitchers have started more openers. It's an honor Verlander earned after he finished second in the AL Cy Young voting for the second time in three years. After transcending the Mets miserable season to win the NL Cy Young award, deGrom was the easy choice to make his first career opening day start. 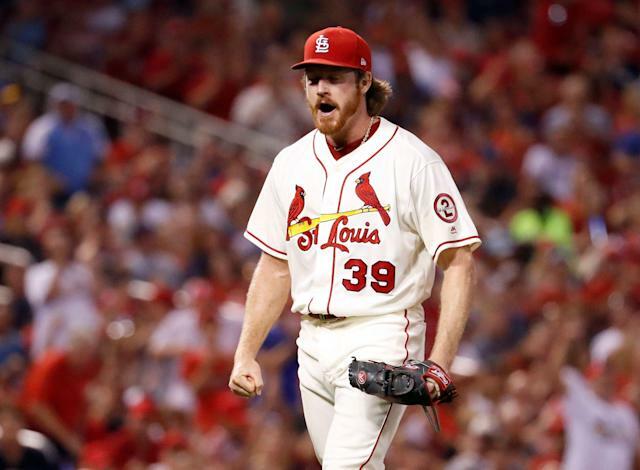 The 30-year-old right-hander led MLB with a 1.70 ERA, while posting MLB single-season records with 24 consecutive quality starts and 29 straight outings of three runs or fewer. Trevor Bauer isn't happy about it, but Kluber will start his fifth straight opener for Cleveland. You tend to get those nods when you have two Cy Young awards on the mantle, though Bauer clearly feels an injury prevented him from winning that award last season. As for manager Terry Francona, he's just thrilled to have a pair of legit aces. 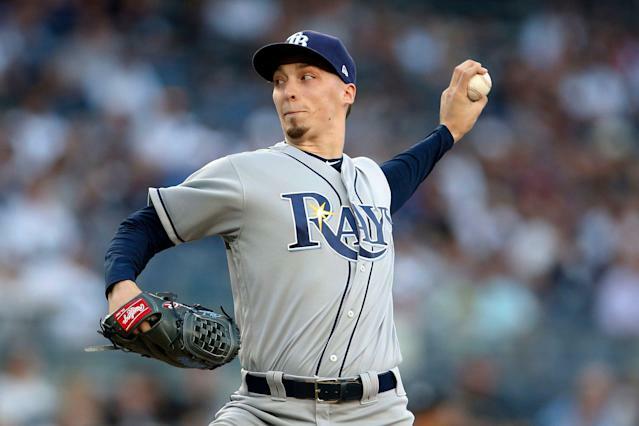 Coming off his Cy Young campaign, Snell is now poised to make his first opening day start. The 26-year-old was on another level last season, posting 21 wins and a 1.89 ERA despite facing the AL East on a regular basis. He might be the best lefty in the game. It's Nola's second straight opening day start for Philadelphia. The 25-year-old right-hander broke through to the next level last season, going 17-6 with a 2.37 ERA and 224 strikeouts in 212.1 innings. Some seasons, that might have been good enough to win a Cy Young award. In last year's NL, it was only good enough for third place. Entering his age-35 season, Greinke hasn't shown any signs of slowing down. He's made 65 starts, pitched 410 innings and posted a 3.20 ERA over the last two seasons, while earning back-to-back All-Star selections. 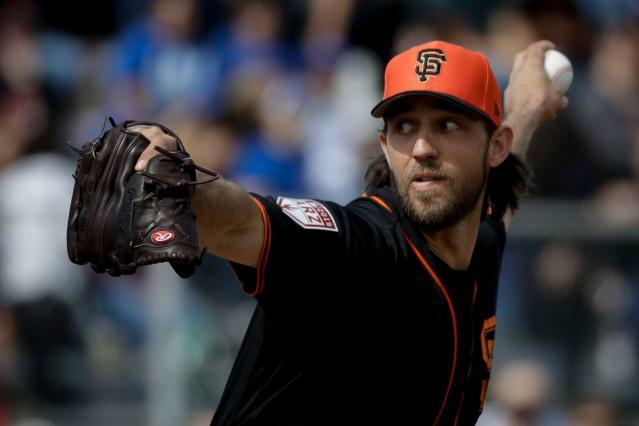 The last time we saw Bumgarner on opening day he was making history by hitting two home runs in 2017. Last season, injury prevented him from taking the assignment, but he's back this year in what could be his final opener in a Giants uniform. We're guessing his intensity will be at 11 when he takes the hill. With Luis Severino sidelined, Tanaka slides back into his familiar role. This will be his fourth opening day start, moving him past Hideo Nomo for the most opening day starts by a Japanese-born pitcher. This is the eighth career opening day start for Lester and his fourth for the Cubs. He's looking for a bounce back season after posting a 4.33 ERA in 2018. Will this be Stroman's last opening day start for Toronto? The veteran right-hander struggled last season, finishing 4-9 with a 5.54 ERA over 19 starts. He'll need a bounce back to help boost his value. Did you know: Justin Verlander (11) and Jon Lester (8) are the only pitchers on this list with more opening day starts than Teheran (6). In fact, this marks six in a row for the still only 28-year-old right-hander, which ties the franchise's Modern Era record set by Warren Spahn (1957-62). The Denver native emerged as Colorado's ace last season, finishing fourth in the Cy Young voting after posting a sparkling 2.85 ERA. That was the lowest ERA for a starter in franchise history. Rockies fans are anxious to see what he'll do for an encore. Mikolas was a great story in his first season back from Japan. The 29-year-old right-hander was an All-Star and a strong contender for the NL Cy Young Award after posting a 2.83 ERA and 4.3 fWAR over 200.2 innings. That success earned him a $68 million extension in the offseason. Minnesota's young ace is ready for the spotlight after striking out 202 batters over 192 innings last season. The 24-year-old right-hander will be the Twins youngest opening day pitcher since a 23-year-old Brad Radke in 1997. The Brewers might not have a true ace, but Chacin looked close at points during 2018. Chacin finished 15-8 with a 3.50 ERA during regular season and was even better in the postseason, posting a 1.46 ERA in three starts. This will be the first opening day start for Taillon after he progressed into a top level starter last season. He gets the nod over Chris Archer, who made multiple opening day starts with Tampa Bay. 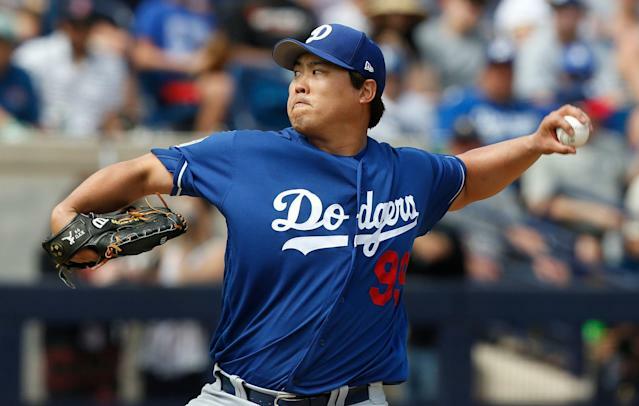 Ryu takes the place of Clayton Kershaw, who will miss the beginning of the season with a shoulder issue. The Dodgers will also be without Rich Hill and Walker Buehler initially. Castillo will start his first opener thanks to his strong finish in 2018. In 11 second half starts, the 26-year-old righty had a 2.44 ERA with 69 strikeouts in 66.1 innings. According to new manager David Bell, that outweighs Castillo's 12.46 ERA over four spring outings. Minor is the 10th different opening starter for Texas in as many years. He's also the only returning starting pitcher from last season's Rangers squad. He finished the year with a 4.18 ERA in 157 innings. An era has ended in Seattle. Felix Hernandez's franchise record of 10 straight opening day starts ended when Gonzales started the March 20 opener in Japan. Gonzales got the win, allowing four runs (three earned) over six innings. Oakland didn't use an opener in the opener. Instead, Fiers got the call and was roughed up, allowing five runs over three innings against Seattle in Japan. 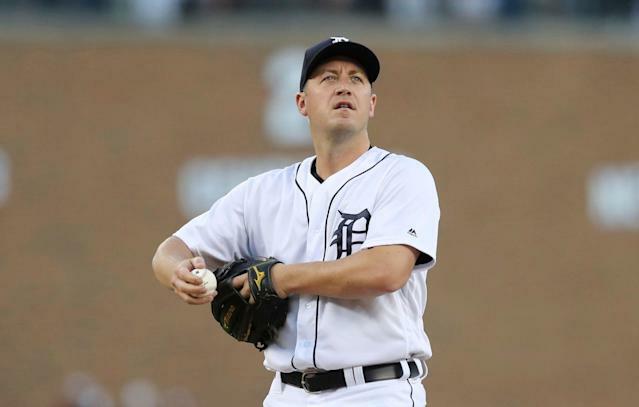 With Michael Fullmer out, Zimmermann is back to being Detroit's de facto ace. In the fourth year of a five-year, $110 million contract, he's still looking for his first double-digit win and sub-4.00 ERA season in a Tigers uniform. Injuries have limited Rodon to just 32 total starts the last two seasons. When he has been healthy, he's been held back by inconsistency. The White Sox are hopeful he finally puts it all together in 2019. Cahill made his first opening day start for the A's in 2011. Eight years later, he'll make his second against the A's. In between, Cahill pitched for the Diamondbacks, Braves, Cubs, Padres, Royals and A's again. Urena allowed a home run to the Cubs’ Ian Happ on the Marlins first pitch of 2018. There’s nowhere to go but up in 2019. Cashner takes the place of Alex Cobb, who is likely to start the season on the injured list. While Cashner is occasionally good for a lot of strikeouts, he also had one of the highest HR/9 rates in the league last year. He’s coming off a 4-15 season with a 5.29 ERA. Yikes. At 23 years, 298 days, Lauer will be the second youngest starter this opening day. He surprisingly got the nod over 2018 breakout pitcher Joey Lucchesi and spring standout Chris Paddack. As for the youngest starter, that’s Keller at 23 years, 244 days. He's also the least recognizable name on this list, but perhaps he’ll prove to be the best story.